24-Hour Trend Locator displays the one minute, five minute, 15 minute, 30 minute, one hour, and four hour trend on a chart. With a quick scan of the indicator you can see if the trend is up, down or sideways. Five commonly used technical indicators are used, independently, to determine the trend. So, the trend is derived five different ways for each of the six time frames. 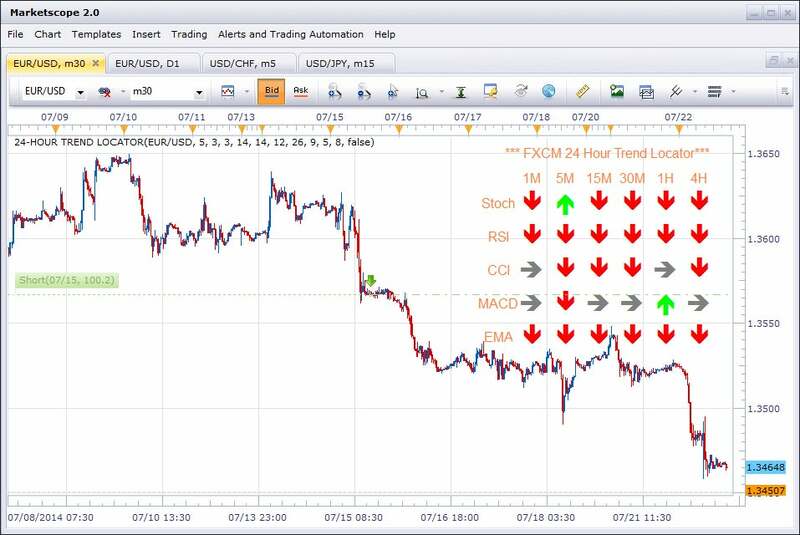 This automated strategy is only compatible with FXCM Trading Station software. Additionally, an FXCM account is required (including free FXCM demo accounts).